The TODAY paper ran an article today about how the very loans that are supposed to help seniors in the United States to stay in their homes are in many cases pushing them out. Reverse mortgages, which allow homeowners aged 62 and older to borrow money against the value of their homes and not pay it back until they move out or die, have long been fraught with problems. But federal and state regulators are documenting new instances of abuse as smaller mortgage brokers, including former subprime lenders, flood the market after the recent exit of big banks and as defaults on the loan hit record rates. Some lenders are aggressively pitching loans to seniors who cannot afford the fees associated with them, not to mention the property taxes and maintenance. Others are wooing seniors with promises that the loans are free money that can be used to finance long-coveted cruises, without clearly explaining the risks. Concerns about the multibillion-dollar reverse mortgage market echo those raised in the lead-up to the financial crisis when consumers were marketed loans - often carrying hidden risks - that they could not afford. Although the numbers of reverse mortgages have declined in recent years, the rate of default is at a record high - roughly 9.4% of loans, according to the consumer protection bureau, up from around 2% a decade earlier. Used correctly, reverse mortgages can be a valuable tool for seniors to stay in their homes and gain access to money needed for retirement. But since the financial crisis, the reverse mortgage market has been in flux, dampened by a drop in property values, complaints about the loans and the recent departure of big lenders. Into the void left by the big banks have moved smaller mortgage brokers and lenders. Some, steer seniors into expensive, risky loans with deceptive sales pitches and high-pressure tactics. Reverse mortgages also have troublesome incentive structures that might encourage brokers to steer seniors toward lump-sum loans, which carry a fixed interest rate, rather than a line of credit with a variable interest rate, the bureau found. In a lump-sum arrangement, the interest charges are added each month, and over time the total debt owned can far surpass the original loan. The newspaper report has gotten us curious about reverse mortgage in Singapore, so the wife and I decided to do some digging. The product was first available in Singapore in 1994 when NTUC Income introduced the scheme for private property owners. Shortly after HDB relaxed its regulations in March 2006 to allow elderly HDB home owners to take up reverse mortgages on commercial terms offered by banks and financial institutions in Singapore, NTUC Income also launched reverse mortgages on HDB flats. Despite the supposed merits of such loan, reverse mortgage has also been known to go very wrong. One such example was a lawsuit brought against NTUC Income in 2009 by a couple over a reverse mortgage deal in which their property was sold amidst falling property prices. NTUC Income demanded repayment of a loan procured in 1997 under a reverse mortgage, and the couple claimed they had to sell their home to repay it. The couple claimed that the 1997 reverse mortgage valued their house at $2.1 million, and based on a loan to valuation ratio of at most 80%, they were given $495,000 cash to pay off their previous mortgage and payments of up to $2,000 a month. In May 2004, the couple were told the value of their house had dropped to $1.1 million and they were in breach of the 80% loan to valuation limit, based on the outstanding loan amount of $926,000. According to the couple, they were told to top up $46,400 to bring the ratio down to the 80% limit, and their monthly payments of $2,000 were reduced in steps to $1,500 from October that year. A year later, in October 2005, NTUC Income said the outstanding loan, at $1.014 million, exceeded the 80% limit based on the property value of $1.15 million. The couple were told they would get just $300 a month until June 2006, after which the company would 'exercise (its) right to recall the property for auction sale'. The couple could also procure a buyer on their own or find another place to stay, according to a letter from NTUC Income, the couple said. By then, the couple had owed $1,045,802.91. On June 2006, solicitors for NTUC Income sent the couple a letter demanding repayment or else face legal proceedings. The couple handed over possession of their property on Aug 2006. The property was later sold for just over $1 million, leaving an alleged shortfall of about $55,000, which the couple were asked to pay. They claimed that if not for NTUC Income's letter, they would not have sold the property - which in 2008 was again sold for about $1.5 million. 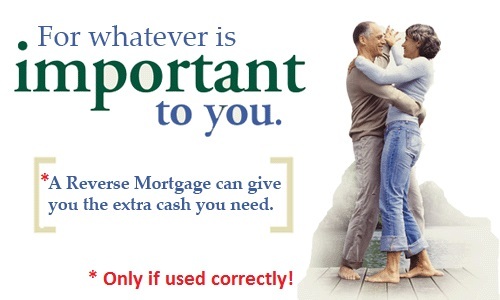 The case mentioned is probably a good reference for those who are thinking of taking up a reverse mortgage. If such loan is taken when the property market is buoyant, the borrower may risk having to "force sell" their property when the market turns sour. For a product touted as a retirement tool, the wife and I definitely do not think it's as safe as they are made out to be. It may well be better off for seniors to fund their retirements through proceeds from "downgrading" to a smaller/less expensive property. As to the outcome of the lawsuit between NTUC and the couple, we are unable to find any verdict on the case. So if any of our readers know, do share! 6 comments to ''Reverse mortgage for better retirement?" Retirement is one of the highlights in a person's life, so it is important to become stable when this time comes. Thank you for the update about reverse mortgage. It is strange that the outcome of a lawsuit cannot be found. What happened to the old couple? Are they still around? Is really good, I absolutely love your blog and find many of your post’s to be exactly I’m looking for.